Have the Tories just set the ball rolling for a fresh General Election? The government has been branded a ‘democratic disgrace’, after ignoring a Parliamentary vote demanding the full legal advice on the Brexit deal be released. Ministers have released a redacted version of the Attorney General’s legal advice on the Irish backstop – despite Parliament voting for the text to be published in full. Labour source: This document falls far short of what Parliament demanded. It is not the full legal advice. Ministers should be aware that they are treading on very thin ice indeed. 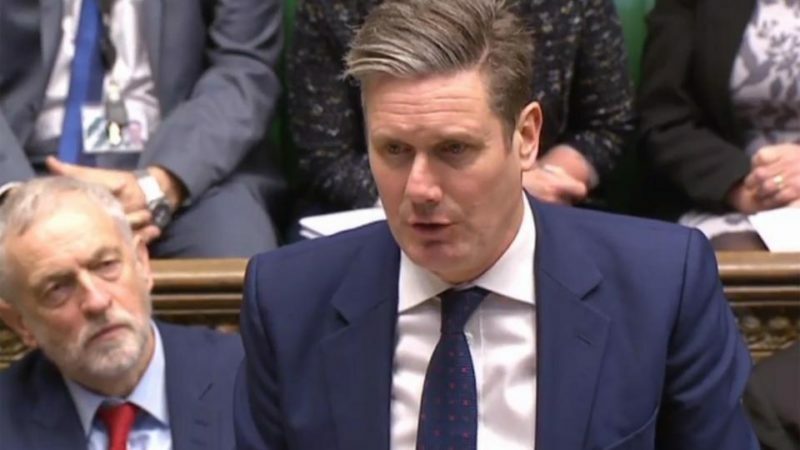 Labour are threatening to call a no-confidence vote in the government – which will pile pressure on the Tories to call a fresh election. The party could also also call out the government for ‘contempt of Parliament’ is Speaker John Bercow allows it. Last week the Speaker suggested this could be permitted. The DUP is reportedly considering pulling the plug on its support for the government if a no-confidence votes goes forward. The DUP’s Nigel Dodds has already thrown his party’s weight behind a contempt of Parliament motion should Labour put one forward. By refusing to release legal advice re #Brexit, as demanded by parliament, & by exchanging honours for votes – the gov have thrown common law in the toilet. Not only do they refuse to act in the ‘National Interest,’ they’re actively indulging in corruption to avoid doing so. “This is a democratic disgrace – the latest in a series of murky dealings by a backdoor government using increasingly tyrannical methods to push through a bad Brexit deal. “If the government doesn’t want to publish the legal advice it received over the Irish backstop, it’s because they’re hiding something. What we already know is the government’s top lawyer thinks the deal will leave us trapped under EU regulation with no voice and no veto. It’s pretty much a democratic fire sale. The limited legal advice that has been published shows that the UK will be ‘trapped’ in the EU’s customs union, while future governments will be tied to the deal. Last week Caroline Lucas MP wrote to the Prime Minister accusing her of ‘misleading Parliament’, after appearing to refute Treasury projections on the economic impact of Brexit.